, is the first to make it to U.S. markets. 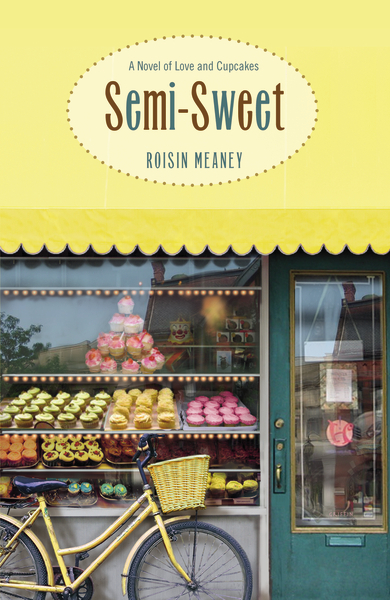 Full of small-town Irish charm and delectable cupcakes, Semi-Sweet is a light-hearted read that would be perfect for lounging poolside on July 4th. Hannah loves her life. She has a wonderful boyfriend, Patrick. She’s about to realize her longtime dream of opening her own cupcake shop. Then Patrick tells her he’s leaving her for someone else, and Hannah’s dreams come crashing down around her. Before life can overwhelm her, her best friend, Adam, steps in, giving her a deadline of his birthday—seven months away—to make a go of the shop. Soon Hannah’s life is a hectic swirl of long days, early-morning baking, and trying to get over Patrick—and his now-pregnant girlfriend. Despite her fears, the shop is doing well, and she even has some regular customers, including one handsome stranger with a sweet tooth. Hannah just isn’t sure she’s over Patrick, and trusting someone again is a scary prospect, but at least she’s surrounded by friends and family who support her. Adam falls hard for a shy musician, and his desperation to win her affections knows no bounds. Family friend Alice’s life has taken a downward turn, and her husband, Tom’s; drinking is bad…but worse is in store. There’s a lot going on in this small Irish town, and the people in Hannah’s life will never be the same. Semi-Sweet is a charming, engrossing tale of small-town life and one woman’s struggles to overcome her hurt and hang on to her dreams. Hannah’s pain and recovery is vivid and realistic, and her relationship with Adam is fun and uplifting—like a true best friendship should be. Fair warning: in addition to claiming the reader’s full attention for hours, this book is also sure to create an overwhelming desire for cupcakes!